Jerry O’Brien has returned to his love of woodturning, which began as a young child. He will be exhibiting and selling the wonders he creates with varying woods on Saturday, November 7th at the North Palm Beach Annual Arts & Crafts Fall Festival. 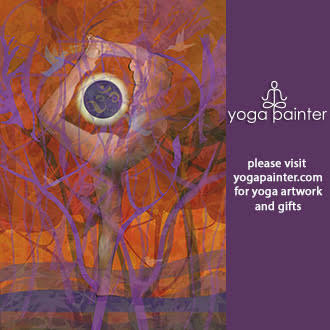 Jerry’s wife, Lois, will also be exhibiting her intuitive paintings. The Rickie Report shares the details and some sneak peeks. Jerry O’Brien’s journey in wood working started at at his dad’s side in the garage at the ripe old age of 6 or 7. He tells us, “I was Just barley tall enough to see over the table of our Craftsman Jigsaw. That was my introduction to wood working and as the years went by my love for wood grew and matured. While in junior high school shop class we were introduced to the wood lathe and the wonderful things it could produce. At 13 years old I tuned my first bowl, and then a lamp, and then a “billy” club (why I don’t know)and then other items that mom just couldn’t part with. That intro to wood turning stayed with me but alas life took me forward and I relegated those experiences to the fond memories of junior high until my wife, Lois, and I spent time in the mountains of Georgia. Jerry explains, ” My wife of 32 years, Lois and I have been blessed and have a second home in the mountains of Georgia where we spend time each year away from the hustle and bustle of West Palm Beach where I have been all my life. (Forest Hill ’68) While there, we enjoy attending arts and craft festivals in the summer. While attending a festival in Blairsville Ga. There were two booths displaying the artistry of several woodturners, their work was excellent and a wonder to touch ,hold, and admire…….the memories of junior high came flooding back. On our way back to Florida, I told Lois that I’d like to try my hand at woodturning again”. “I contacted the Palm Beach County Woodturners, became a member and was reintroduced to the wonders or the wood lathe all over again. Over the last 8 years I have had the pleasure of being instructed by some wonderful people, some very well know and truly masters of the craft, learning many different styles and skills along the way. I’ve attended many woodturning seminars in various states. In my short career as a wood turner I’ve turned a variety of items including bowls, platters and hollow forms, pens, scoops, tops, bottle stoppers and objects d’art,” Jerry shares. The segmented pieces are made from a combination of cherry,oak,maple and walnut. “Segmenting is was a new skill set I learned. Using this technique in partnership with different woods allows the craftsman unlimited variety and patterns. These pieces are constructed by gluing individual pieces of wood together into a general shape and mounting them on the lathe where they are turned to the final shape. Challenging and beautiful, segmented bowls and other vessels are a true delight. As in all turned wood vessels each is one of a kind and supplies the owner with a unique sense of pride”, Jerry explains. “I enjoy turning the tropical woods available in Florida and the hardwoods I have access to in Georgia while there. Some of my Florida favorites are Mahogany, Norfolk Island Pine, Citrus of all varieties and a host of others. From my Georgia haunts come Spalted (weathered outside) Maple, River Cherry, Red Oak, Poplar, Hickory, Pecan and Walnut. My all time favorite is Ambrosia Maple”. “The pieces I produce on the lathe vary from bowls of all kinds both useful as well as artistic, hollow forms both large and small, vases,small items such as honey dippers and coffee scoops, writing pens and salt boxes. My newest skill set lies in using small pieces of wood cut at precise angles to make objects that are composed of many individual segments of wood. This give me the ability to produce wonderful patterns by using different species of wood to contrast and enhance each other in the designs”. Lois is a widely shown abstract, intuitive painter artist. She was most recently chosen for an award at the Artists of Palm Beach County’s Abstract Exhibition. 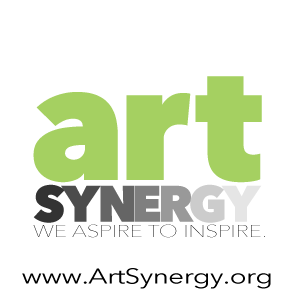 he and Jerry will be displaying their respective works at the North Palm Beach Arts and Crafts Show and would love to meet folks as they enjoy the show. Jerry says, “Be advised that if you get me started about turning I’m quite a talker! When you come by our booth please feel free to pick up, handle and enjoy any of my works as I have simply taken something God has made and reshaped it into something meant to be handled and loved”. Jean “Notewell” Williams’ latest book “A Little More Cream and Sugar” featuring Naliyah, Nana’s Little Angel speaks to the camaraderie of coffee drinkers, faith walkers and creative dreamers. Williams is the maestro behind It’zzz Our Time, LLC. The company carries the couture-inspired “Exclusively by Jeannie” ©Handbag Line. Jean is available to speak at book groups or organizations. Jean will be at the North Palm Beach 30th Annual Arts & Crafts Fall Festival on Saturday, November 7th from 9 am – 4 pm. The Rickie Report shares the details and knows you will appreciate Jean’s artistry, which includes hand embellished writing pens. These are great for gift-giving ( to someone else or yourself)! The Village of North Palm Beach 30th Annual Arts & Crafts Fall Festival will be on Saturday November 7th.  Designer, Jean “Notewell” Gibson Williams will be at the North Palm Beach Recreational Center (inside). The event takes place from 9 am to 4 pm. Jean is an inspiring entrepreneur, whose public platform is “Walking out your Dream” ©. 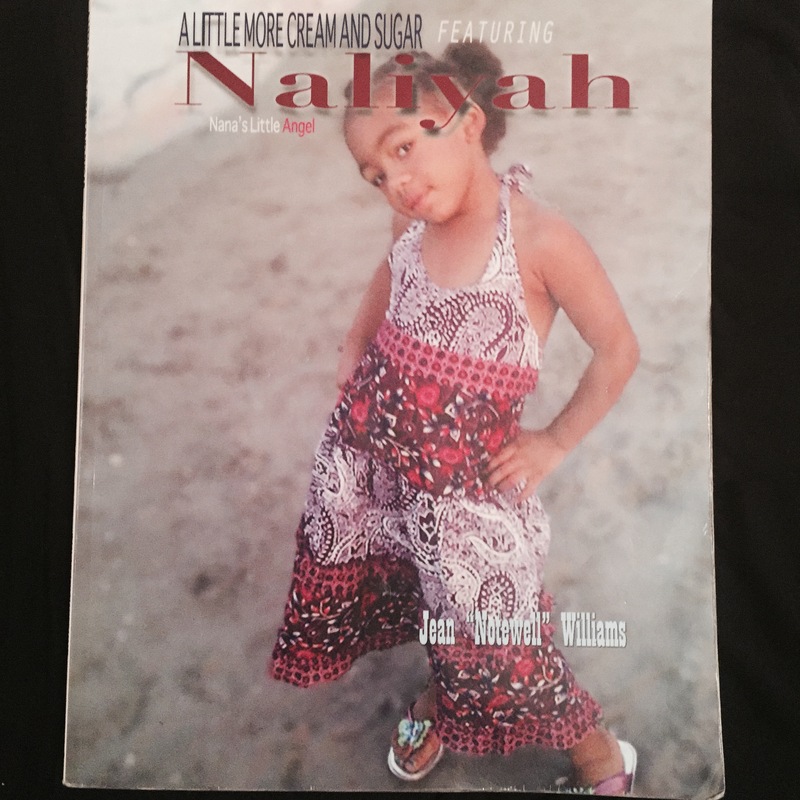 Williams’ latest book, ” A Little More Cream and Sugar” featuring Naliyah, Nana’s Little Angel speaks to the camaraderie of coffee drinkers, faith walkers and creative dreamers. The book trailer may be viewed on YOU Tube and has been featured on National cable television sites such as Bravo TV, Entertainment, MSNBC and DISH in Chicago, IL reaching over three million viewers! Jean will be autographing her latest book “A Little More Cream and Sugar “featuring; Naliyah Nana’s Angel. Naliyah has gotten her little wings and the message of hope, courage and inspiration are continuing to touch everyone’s hearts, as they read “A Little More Cream and Sugar”.Follow the story of how the warmth and fragrance of coffee, a drink most of us take for granted, brings a family together through many generations. At the heart of this book is Naliyah, a youngster battling a childhood syndrome. While coffee exudes energy and zest, Naliyah’s personality brought those same qualities to everyone who met her. Jean’s book is a family affair, reaching beyond this inspiring child. Jean tells The Rickie Report, “All the art work in the book is by me except for a few crafts and designed apparel by Liyah. There is a painting by her father. My other granddaughter Destiny, who is 14 years old, has an acrylic painting and an illustration in the book. My eldest did the layout and text formatting”. She is available to attend a meeting of your organization for a Book Signing!